The Consumer Driven System: The Future of Healthcare? We have entered a new era of health, where cookie-cutter treatments and institution-driven medicine no longer cut it for the patient: the consumer. Therapies are tailored to a patient’s genome; long-held barriers to accessing mental health services have been eliminated through smart-phone apps; and wearable technologies can map sleep, activity and screen time to give new insight into health and wellness. Patients want access to their health information and true patient-centered integration in their care plans. Technology and regulation are moving to meet these demands, but what are the costs and long-term implications of this rapid evolution? There are ethical considerations to be made around privacy and data ownership and whether new advancements help or hurt health equity. It is also critical to consider challenges to implementation related to necessary stakeholder buy-in and requirements for evidence-based adoption. At this year’s IHPME Research Day, we welcome an expert panel and keynote to discuss consumer-driven health and all its implications. 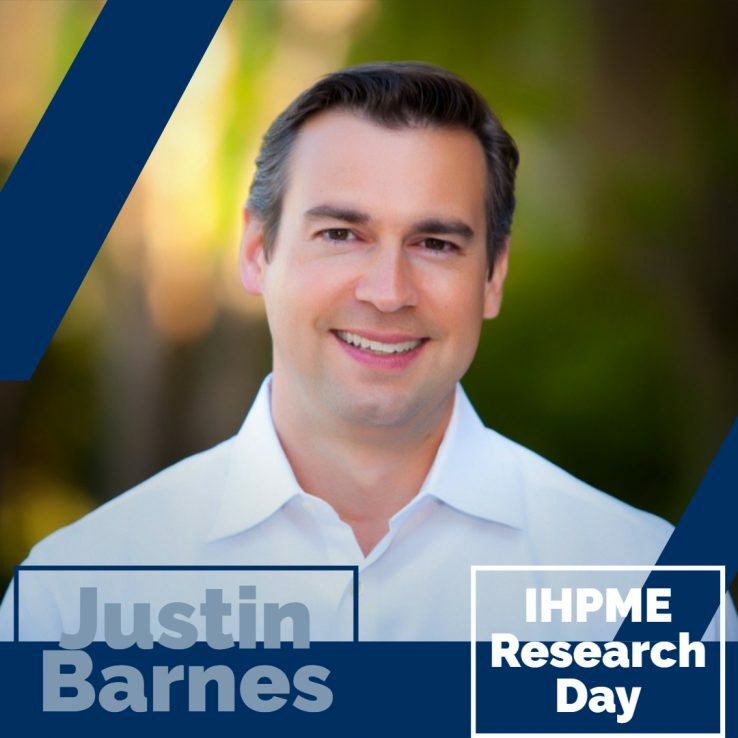 IHPME Research Day is an annual student-led conference that showcases the hard work and ingenuity of our graduate students from both our research and professional degree program streams. Co-led by IHPME graduate students, the event illustrates the Institute’s commitment to fostering intellectual exchange and provides a collaborative environment for all students to come together around a shared goal: making a real change in our health care system. Over 300 guests attend Research Day each year, including faculty, alumni, and health system leaders from our city. Justin is a healthcare innovation executive, corporate advisor and industry strategist. He is also the host of healthcare’s most popular weekly syndicated radio show “This Just In” that airs on Healthcare Radio and Business Radio X. He has formally addressed and/or testified before Congress as well as the last three Presidential Administrations on more than twenty occasions with statements relating to alternative payment & care delivery models, value-based care, connected health, virtual care, precision medicine, population health, consumerism, revenue cycle management, interoperability, innovation and the globalization of healthcare. Expert Panel – Consumer Driven Systems: The Future of Healthcare?